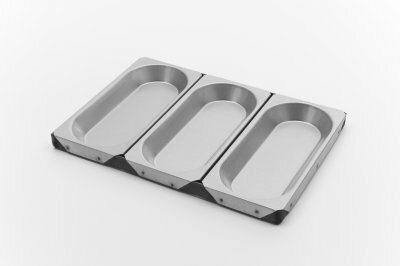 Grants manufacture a number of special bread pans, in configurations to suit all industrial, commercial or domestic ovens. have been listed above. However, overall set size can be modified to suit the customers requirements. 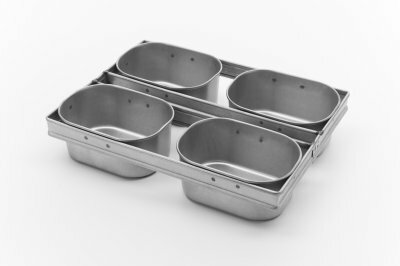 Pans are manufactured from 0.6mm aluminised steel. 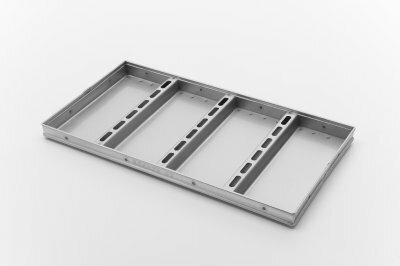 Focaccia trays are custom made to the customers size requirements. to coating resulting in poor release properties. Pans must be oiled before each and every use.